Software package and ROS wrappers of the Aruco Augmented Reality marker detector library. 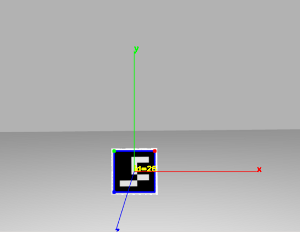 Open a REEM in simulation with a marker floating in front of the robot. This will start the stereo cameras of the robot too. 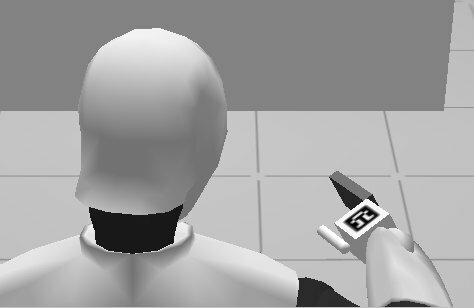 Since this is only a vision test, there is nothing else in this world apart from the robot and a marker floating in front of it. An extra light source had to be added to compensate for the default darkness. 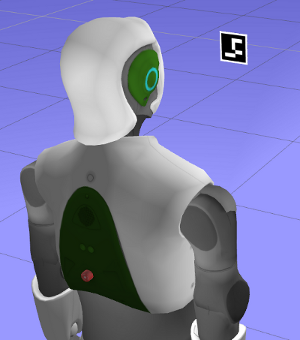 Launch the image_proc node to get undistorted images from the cameras of the robot. roslaunch aruco_ros single.launch markerId:=26 markerSize:=0.08 eye:="right"